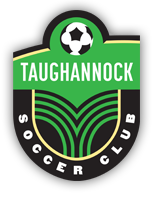 At TSC we are committed to helping develop our coaching staff and volunteers so that they may, in turn, make playing soccer enjoyable and fruitful for all our players. A good coach can make all the difference in a young person’s life, both on and off the field. To further this goal, we encourage all our coaches to take coaching courses, including the NYSYSA E certificate class, offering several times a year in Upstate NY. TSC will reimburse all coaches for their continuing education and training. Below are a few resources for our coaching staff. These have been selected from a wide variety of club practice plans from different sources, and we feel these can be a significant help in helping coaches plan their practices. A big thank you to the organizations who created these original practice plans, including Massachusetts Youth Soccer, Global Premiere Soccer, Washington Youth Soccer, and USA Youth Soccer. If you have suggestions regarding other resources that might be a good addition to our site, please contact us. More resources can be found here, at the US Youth Soccer Association, New York West website. If you are a coach or assistant coach and would like a bound copy of any of these practice guides, please contact us here, and mention your request in the email.